In the mood for a fiesta? 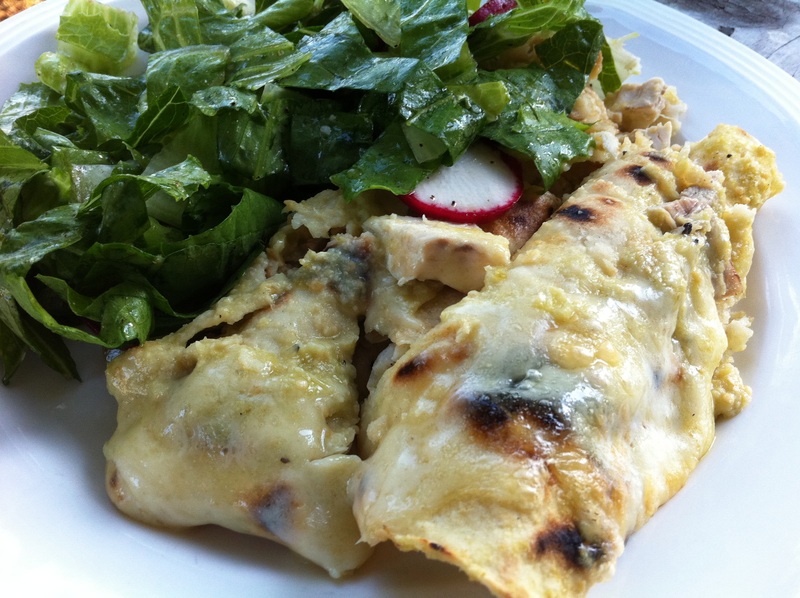 Dish up these simple and delicious chicken enchiladas made with our yummy green sauce and soon your taste buds will be dancing the conga! Heat a saucepan to medium high and add the tablespoon of oil. Carefully pour in the green sauce and cook, stirring constantly to thicken up, about 3 minutes. One by one dip the tortillas in the sauce, place in an ungreased 13- x 9-inch baking dish, fill with some chicken, and roll up. Fit each enchilada snugly next to the other in the baking dish. Pour the remaining green sauce over the enchiladas. Sprinkle the cheese on top. Bake for 15 minutes, or until the sauce is bubbling and the enchiladas are heated through. Meanwhile, toss the lettuce and radishes with the remaining 2 teaspoons of oil, the vinegar, salt and pepper. Layer the salad on top of the hot enchiladas and serve immediately.